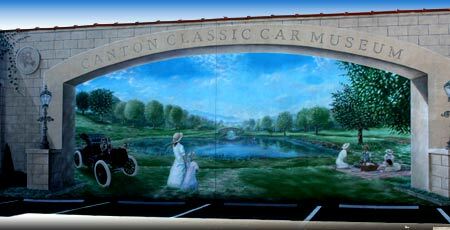 The Canton Classic Car Museum was established by the late Marshall Belden, Sr in 1978. The museum currently exhibits 45 rare and unusual classic and special interest automobiles. The gorgeous vehicles are complemented by the thousands of pieces of historical memorabilia displayed throughout the museum. Cars on display go from a 1901 curved-dash Oldsmobile to a 1970 Plymouth Super Bird. The cars take center stage in the museum. We have such American icons as the 1957 Chevy Bel Air convertible, and the 1959 Cadillac Eldorado Biarritz convertible, the car that took Harley Earl's and Frank Hershey's futuristic fins to the extreme. As you stroll through the museum, you'll see amazing automobiles from many time periods.The vehicles in the grand gallery are true automotive works of art. Marmon. Pierce-Arrow. Cord. Packard. Cadillac. All the rolling sculptures are there to marvel over. Alongside the cars are thousands of unique pieces of historical memorabilia and ephemera. You could say that the Canton Classic Car Museum has something for everyone. 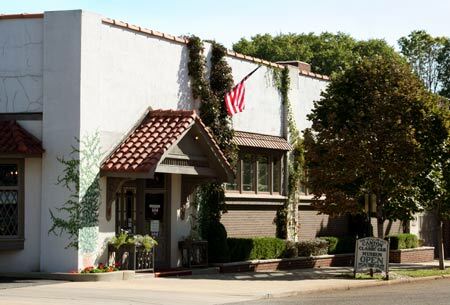 The museum is open 7 days a week from 10:00 am until 5:00 pm and is handicap accessible. Discount group rates and guided tours are available.